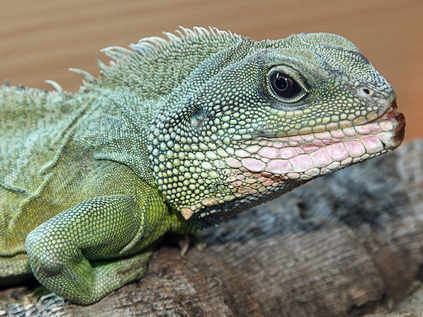 Meet Winston, our Chinese Water Dragon who came to stay with us after his owner moved away & was unable to look after him. He's approx 33" long & we think approx 4yrs old. Winston was originally a rescue after not being properly looked after by his original owner, resulting in him having missing toes & a number of spikes missing along his back. We've got him re-homed now in a purpose built vivarium & It's a pleasure having him with us!